Leinster lock Tom Denton has signed to play for Premiership side Gloucester in the 2016-17 season. 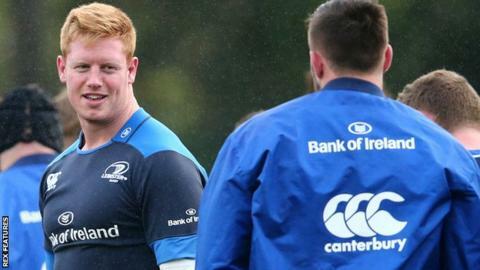 The 28-year-old, who previously played in the Premiership for Leeds Carnegie, joined Leinster in 2012 and has made 10 appearances for the club this term. Denton has been part of a Leinster side that finished top of the Pro12 at the end of the regular campaign this year. "His arrival only makes us stronger as a unit," said Gloucester director of rugby David Humphreys. "We're looking forward to welcoming Tom into our environment. During his time in the Aviva Premiership with Leeds, he proved to be a quality operator, and he has matured and improved whilst with Leinster. "I know first hand from my time with Ulster what a quality opponent he is and he will be a welcome addition to our second row ranks."